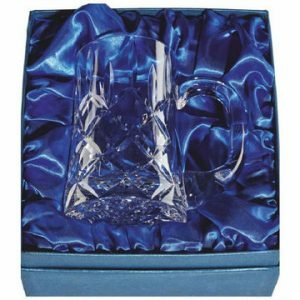 Don’t just raise a glass to someone on their special day – treat them to their very own traditional drinking vessel instead! 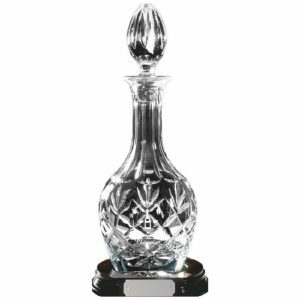 You’ll find some stunningly designed pieces in our fabulous collection and each item can be engraved to make it both personalised and unique. 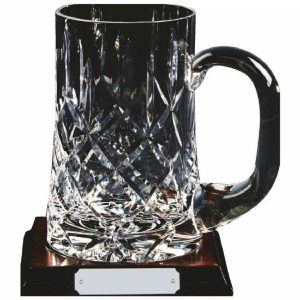 Whether you’re marking someone’s retirement, celebrating their long service to your organisation, rewarding their success in a darts or skittles tournament, or thanking them for years of loyalty to your bar or pub, when you present them with one of these little beauties, they’re sure to be in good cheer. 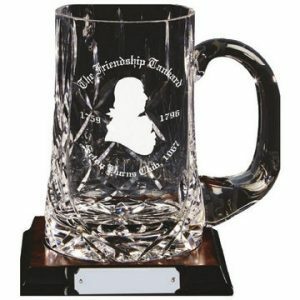 They can either place it in a prominent position within their home as a fabulous memento or they can fill it with the frothy stuff and celebrate in real style. 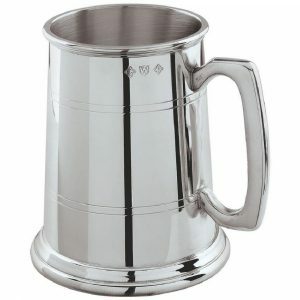 Our collection includes tankards crafted from durable stainless steel and pewter, and we stock them in a range of sizes, so whether you’re looking for one that holds a quarter of a pint, half a pint or a full pint of beer, don’t worry – we’ve got you covered. 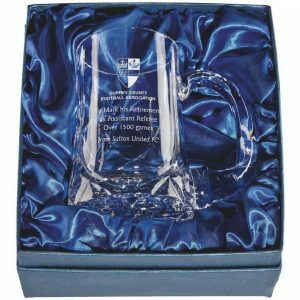 Many of them also come in their own presentation boxes for that extra touch of class and luxury. 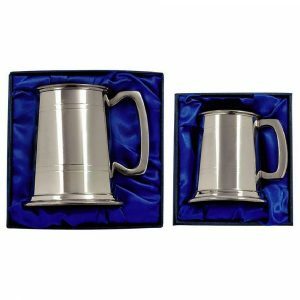 Ensure that the recipient of your present never forgets how much you mean to them by having the tankard you’ve chosen for them engraved. 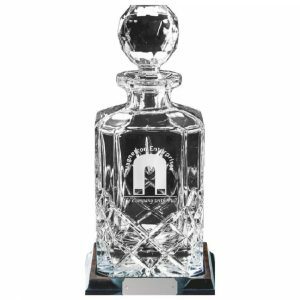 Just decide what message you’d like to add to it and input it where asked when you place your order on our website, and our in-house engravers will then get to work. 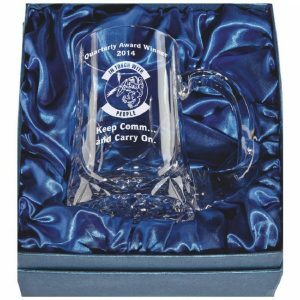 You could have it inscribed with your colleague, friend or family member’s name, a special date or even refer to a joke you share – it’s the ideal way of letting someone know how much you really care. 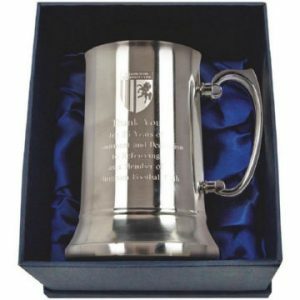 You can order your individualised gift in just a few clicks, but if you want to discuss any of our products or our engraving service in more detail, you can get in touch with us on 020 8722 0250.